Following on from the Starhawk beta phase of development which was officially opened a couple of weeks ago. 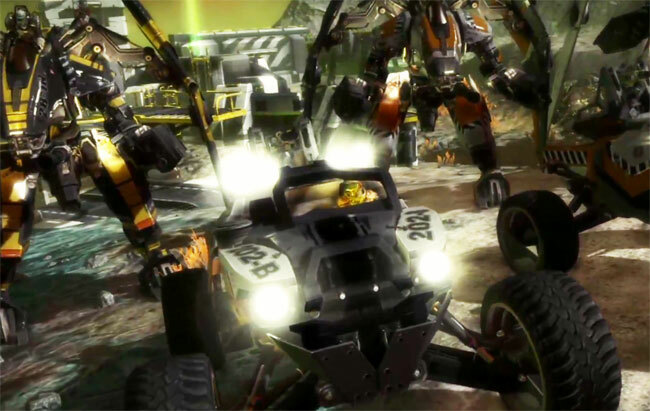 A new trailer has been released which unveiled a little more of the building and construction side of the Starhawk game. Watch the video after the jump to heck it out. PS3 gamers who are thinking of pre-order the new Starhawk game through GameStop, might be interested to know that, they will, automatically get a free upgrade to the Limited Edition game, which brings with it two DLC packs containing multiplayer skins and a selection of new maps once the game is officially launched. Starhawk will be launching later this year on May 8th in North America.